The modern mechanical slots machine (see picture) comes with 1, 3, or 5 pay lines. It features three mechanical drums or reels that spins independently and stops on a pay line which indicates the outcome of a spin. In this article I’m going to discuss the various slots machines, their pay lines and why they are popular with players. All slots machines are controlled by an EPROM chip and a random number generator (RNG). The probability of winning on a modern mechanical slots machine is better than on a video slot machine that has an indeterminate number of virtual stops. The main difference between these machines is that the stops are weighed by the casino which effects the outcomes and payout percentage. The casino can’t make any adjustments with the virtual stops of a video slots machine since the manufacturers’ programming determines all the results. The disadvantage of these machines is that they do not provide the same level of excitement as video slots machines since they lack bonus games and additional features. Their coin denomination is usually higher, starting with $0.25 and up. These machines use to dominate the casino floor but not any more. Da Vinci Diamonds is a very popular slot machine which features throughout the casino floor in most land-based casinos. Since the 1980s it has been the go-to slots for many players. Walt Fraley invented it in the mid-1970s. At the time they were not as popular because most players did not trust them. Truth be told, they did not have any mechanical drums that spun. However, with the advent of video poker this all changed. One of things that you must remember about a video slots machine is that it has many virtual stops, normally between 32 and 512. What does this mean? It typically means that payouts are bigger. When it comes to the design of their games, video slots machines allow their manufacturers greater flexibility since the games are laced with bonus games or extra spins. Let’s just circle back to the Davinci Diamonds slots. It offers a myriad of free bonus games and tumbling reels where the symbols that make up a win will disappear allowing new symbols to be showcased across the reels. Video slots machines allowed its manufacturers to introduce multi-line machines. In years gone by players could only alter their bets by increasing the number of credits played. 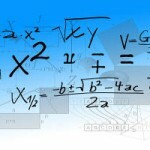 Today players can increase the number of lines and the amount of credits the wager per spin. When video slots machines first appeared on the scene, penny slots machines were virtually non existent. Now you can find 1 and 2 cent machines which outnumber all the others. It goes without saying that the majority of machines found in a casino are video slots. Spurred on by the success of multi-line video slots machines, casinos did away with the number of lines and compelled players to wager on the maximum number of lines. By doing this they ‘force’ the player to pick a multiplier since it significantly favors the house, it also explains why so many of these machines are flooding the casino floors. The modern slots machine has an important feature that you should be aware of. 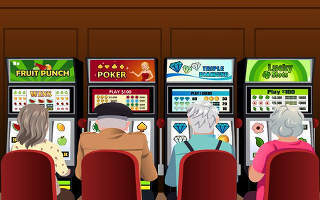 The older style multi-line video slots machines offer small payouts. One of the main reasons why casinos love them is that you won’t get rich on these machines. Strictly speaking for a small return you’ll have to burn more cash. A good example of this type of machine is the popular Choy Sun Doa machine. Before you start playing, look for a symbol on the side of the screen that says ‘Reel Power or 243 Ways To Win‘. Contemporary machines offer up to 1,024 ways to win and payouts are also determined in both directions, left to right and from right to left. The class of machines it represents is that you bet on the number of reels and not on the amount of lines. Irrespective of where the symbols appear on the reels a payout is made since there are no fixed pay lines. The reel machine is popular because you don’t have to decide how many lines to play only the number of reels (1 to 5). 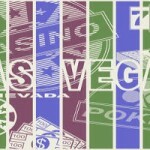 Progressive slots are very popular in Las Vegas casinos because they offer exceptionally large payouts. In March 2003 a 25 year old software engineer from Los Angeles won $38 million at the Excalibur in Las Vegas. Progressive jackpots can afford to offer enormous payouts because they’re linked across a casino, city or state. The payouts, other than the jackpots progressive slots machines offer are not as good since a portion of every bet that is made goes towards the jackpot pool. If the jackpot is huge it’s normally shared across numerous casinos within the area or across the state. Ten to one you’ve heard it before, if you play a progressive game you must always bet the maximum number of credits. This is true but keep in mind these machines are very volatile and you’re bankroll will disappear like a paper in a bonfire. Many casinos have introduced Maximilien video and reel slot machines with random progressive jackpots to encourage players to try them out. This is like a hybrid between a progressive and a maxi-line video slot machine. Before you play a progressive always check the payout table first. To be honest I’m not a fan of the crossover machines since decent payouts are far and few in between. Modern slots are controlled by a chip called the random number generator. It’s a chip that generates random numbers at a rate of thousands per second. Even if you pull the handle or press the stop button immediately, the result is already determined based on the number generated when you interrupted the machine. The result of the interruption is displayed by the symbols on the screen. The spinning of the reels is a trick and just adds more excitement. The manufactures created a series of virtual stops or ‘near misses’ (about 30%) to encourage players to bet more lines or to play longer. The best payouts are offered by modern mechanical slots machines (coin denominations of 25 cents or higher) followed by reel machines. Progressive slots offer the lowest payouts. Although slots machines are often described as ‘weird and wonderful’ they’re the go-to games for casinos. With their alluring graphics and trance-like audio they’ve ensnared many an ignorant player. When playing slots rather play the maximum number of lines instead of the maximum multiplier. Next Story →7 SEO Myths Debunked!